I came across an interesting issue recently at a client site. They are using SharePoint Online in their Office 365 Enterprise E3 subscription. The issue on hand was with OneDrive for Business sync of their SharePoint libraries. Content sync was intermittent and most times it would fail. As a result of which the content was being saved on local machines. That’s not great, especially with everything being in cloud, no backups of local machines and the users having to save files locally, email each other or if uploaded to SharePoint Online, collaboration was not as effective as it can be with SharePoint Online. As part of my assessment, I determined that they had OneDrive for Business client and also the OneDrive App that comes with Windows 10. Refer to this article to determine which version of OneDrive you are using. To start with I downloaded the new OneDrive sync client on one of the machines. When I tried to install the new OneDrive sync client, I got an error message, stating that I had the latest version of OneDrive! However when I tried to initiate the sync of a SharePoint library it would fail. 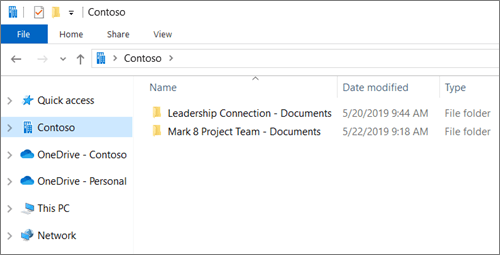 I followed the article which version of OneDrive you are using and determined that the sync client was in fact the previous version of OneDrive for Business sync client. So, I uninstalled the OneDrive for Business client from Control Panel/Programs and Features. Installed the new OneDrive sync client and tried to sync the SharePoint library and the setup of the library to sync failed again. This really had me going around in a loop. Sync Client for SharePoint is configured for old client! So this is what was launching the old client and in this instance with no on-premises SharePoint sites, changing this to Start the new client should resolve the issue. It will take sometime (give it 30 to 60 minutes for the change to be effective). After an hour or so, I browsed to the SharePoint library and clicked on the Sync. Since it was Microsoft Edge browser, it asked me if it can open OneDrive for Business? Note: the previous client was uninstalled and the new OneDrive sync client was installed. As part of the sync initiation, new OneDrive sync client will require user authentication (in this case SSO setup was not in place, hence the user has to authenticate to SharePoint Online everyday). After entering the password, the screen will keep showing signing in – don’t close or worry as this is transitioning from ODfB client to new OD next gen – that is all your synced content from SharePoint to the SPO Tenant Name as per below. In my instance, I went with Method 1, got the user to sign in, did not close the signing in dialog box and after couple of hours (depends on how many SharePoint libraries were synced with the old ODfB sync client), the files and folders were transitioned to the %userprofile%\[Tenant Name] folder. Last thing I did was to change settings for the OneDrive app (app part of W10/Office365 C2R) – to unselect Start OneDrive automatically when I sign in to Windows. At the same time, ensure that this setting is elected for the new OneDrive sync client. Once all this was done, users were happy and syncing their content, working collaboratively via OneDrive and SharePoint Online Sites and Document Libraries!